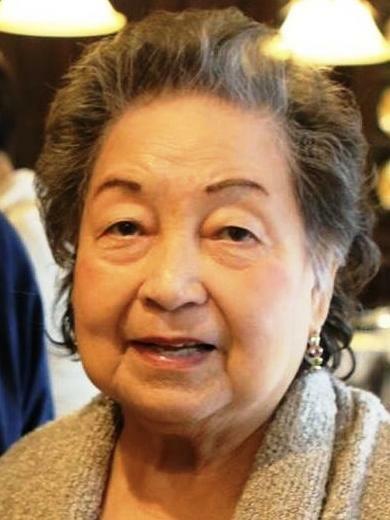 Ofelia was born in the Philippines on June 29, 1933, the eldest of nine children (with 4 sisters and 4 brothers). She is a college graduate with a major in Spanish. She married the late Jose Apostol who immigrated first to the United States whom she followed 1 year later with their 4 children in 1972. They settled in Newark and but later moved and was a longtime resident of Union, NJ. She is survived by four children: Alexander (Union), Leonor (Bloomfield), Archimedes (Archie) (Union) and Cesar (Mt. Laurel). She is also survived by 5 grandchildren: Christopher, Arial, Roman, Christian and Kyle. She was a proud woman who was also kind, funny, generous and devoted mother and grandmother. She loved to “brag” about the accomplishments of her children and grandchildren. She was an accomplished pianist, loved life, shopping for a bargain and spending time in Atlantic City with her son Archie. While she no longer walks this earth, she will live forever in our hearts. Family and friends are invited to attend a visitation for Ofelia at the Galante Funeral Home, 2800 Morris Ave. Union on Friday April 5 from 3-5 & 6-8 PM, with a funeral service being celebrated at 7:15 PM. Cremation will be held privately.